I really like Darla because she's a very strong girl and the opposite of a 'girlie'. I liked her story because it was a nice addition to the story of Ashfall. Her character is very well painted: 'I will not give up, I will find a solution, I am there for my mother and I say what I think.' (that's not a quote from the book ^^). But again she also has flaws and is no superhero. That makes her so likeable. 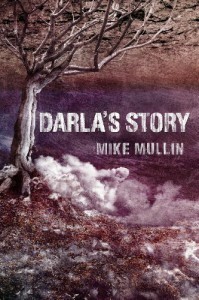 The book describes how Darla (and her mother) experience the eruption of the Yellowstone Supervulcano at her farm 1000 miles away from the eruption. The events are assumedly realistic (the noise, the ash, the light). I really like that. I do not like short stories very much (and bought the book because I wanted to know her story) and I think one or two things could have been described in more detail. But it was a good story.